The free iPhone app KnowMe was released today, and I know that, starting tomorrow, it will become the iPhone app I will find most useful in my classroom. You can combine photos from your phone with live video (f you want), easily add narration, and voila, you have an audio narrated presentation. You just hold down on the photo with a finger and talk. Here’s a simple one I made using classroom photos, which I then emailed to myself. It doesn’t have an embedding function, and doesn’t yet offer an immediate sharing to YouTube. However, with YouTube’s terrible Safety mode (see The Best Ways To Deal With YouTube’s Awful Safety Mode), I’m not sure how many of us educators are really uploading videos to YouTube these days anyway — most are just going to be blocked by their insane algorithm. 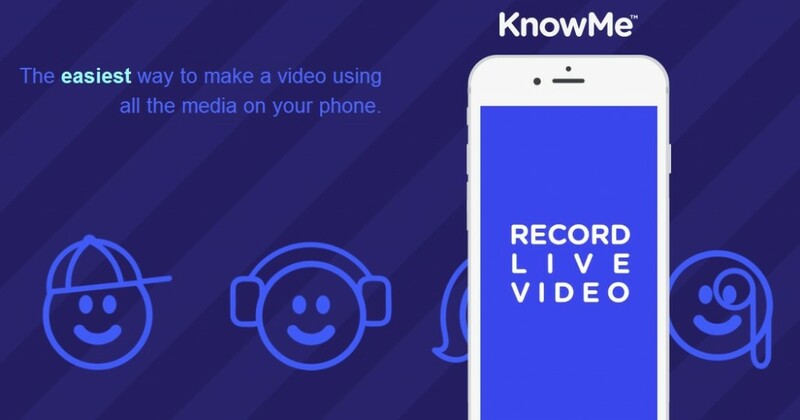 Shadow Puppet has been my favorite app up to know to let students provide audio narration of images, and I didn’t think it could get much easier than that, but KnowMe has proven me wrong. Do you have any similar Android apps that you can recommend? We are going 1:1 with Androids and I need some quality free Android apps. I have all of this cool iOS stuff and no Android ones. You might want to check my “Best” list on iPhone apps. Many have Android versions. I have both Androids and iOS devices because I need to support them for my work. Androids are my preferred devices. But the biggest challenge with Androids is app compatibility is device specific (unlike iOS apps which work on all). For example, the Twitter app works on my Samsung phone but isn’t compatible with my Samsung tablet. Best option is to check out lists like Larry’s with the Android device students will be using.